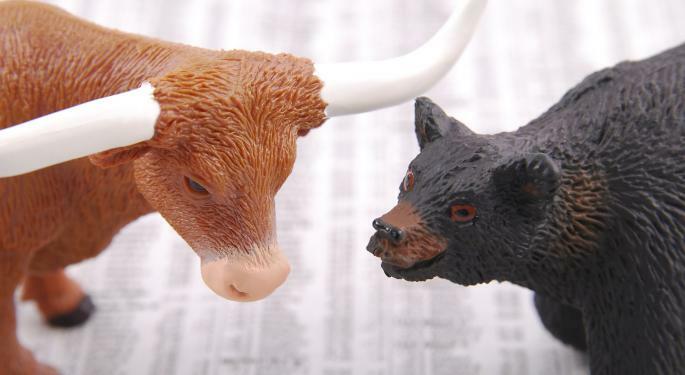 The market’s historic sell-off on Monday certainly got the attention of investors. It also got the attention of market experts and analysts, many of whom took the opportunity to weigh in on what the sell-off means and how traders should react. Here’s a rundown of what Wall Street had to say about the sell-off. Citi analyst Tobias Levkovich said the jump in Treasury yields due to higher wages reported in the January employment report likely triggered the sell-off in stocks. “The investment community’s complacency also provided a vulnerable backdrop,” Levkovich wrote. 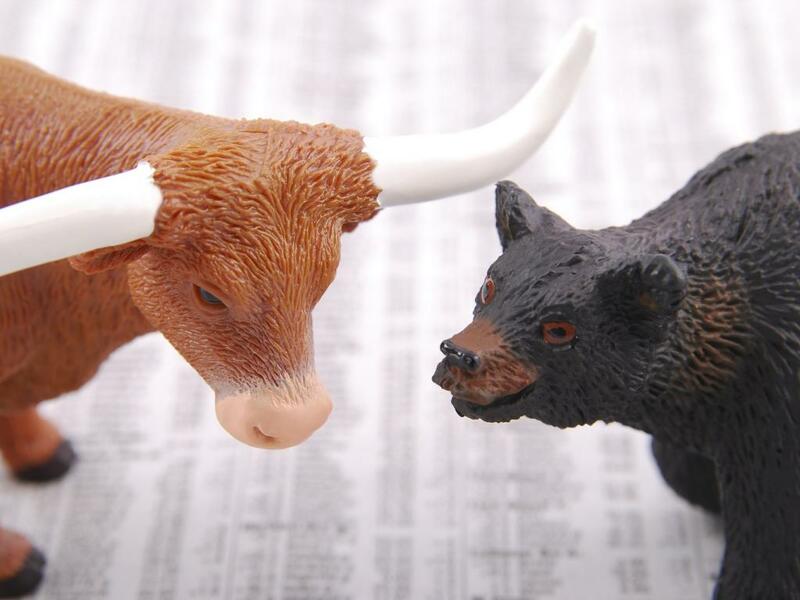 Baird analyst Ben Kallo said investors who believe the bull market has come to an end should consider defensive stocks and value plays. He named Outperform-rated Archer Daniels Midland Co (NYSE: ADM), Covanta Holding Corp (NYSE: CVA), Darling Ingredients Inc (NYSE: DAR), W. R. Grace & Co (NYSE: GRA), Hannon Armstrong Sustnbl Infrstr Cap Inc (NYSE: HASI) and TerraForm Power, Inc. New (NASDAQ: TERP) as top defensive stock picks. Bank of America analyst Benjamin Bowler said quant funds deleveraging volatility-related positions was likely a large contributor to Monday’s big move, a phenomenon that should quickly dissipate. “Absent contagion back into rates, we expect this equity centric shock to fade and would position for equity vol mean reversion via VIX put structures; however, it presents another wake-up call that equities have been significantly underpricing risk,” Bowler wrote. Bernstein analyst Noah Weisberger said the rotation into long volatility investments will likely be short-lived. “While the unwind of short volatility positions and related “carry-type” strategies will likely prove painful, in this Macro Minute, we remind investors that drawdowns tend to be shortlived affairs, that yield pressures, alone, tend to be surmountable, and that the economic and fundamental backdrop remains quite supportive,” Weisberger wrote. Sven Balzer, head of investment strategy at Coutts, said Monday’s sell-off was simply a long-overdue correction. “In our view, this is a short-term correction driven by technical factors rather than concerns about the underlying economic picture or corporate health.” Balzer said. Not Out Of The Woods Yet? DataTrek analyst Nick Colas said the blowup of short volatility funds, such as the Credit Suisse AG - VelocityShares Daily Inverse VIX Short Term ETN (NASDAQ: XIV), may have been the primary driver behind Monday’s sell-off in stocks, but that doesn’t mean investors are out of the woods just yet. “Assuming volatility-related ETFs really are a market structure ‘Achilles heel,’ this will take days if not weeks to play out, and there could be other problems waiting in the wings,” Colas wrote. So far on Tuesday morning, the stock market has somewhat stabilized. The SPDR S&P 500 ETF Trust (NYSE: SPY) was trading lower by 0.7 percent, but the iPath S&P 500 VIX Short Term Futures TM ETN (NYSE: VXX) was up another 19.4 percent. The Dow was trading up about 25 points at time of publication after dropping more than 500 points earlier in the day. What Is The VIX, And What Does It Do?